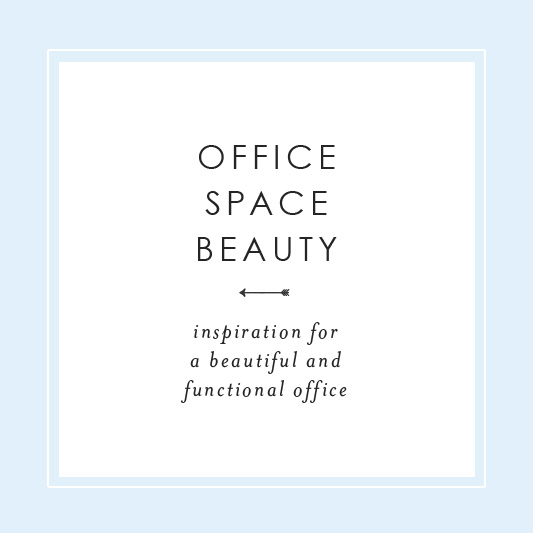 Whether you work in an office or out of your home, you should be in a space that is inspiring, organized and beautiful. Even cubicles don’t have to be stuffy and boring. Dress them up with things you love like photos of loved ones and trinkets that make you smile and bring in plants to enhance the air. Remember, this is where you are most of your day so why not create a space you love? Since I work from home, my office is shared with my husband. Even though I take up most of the room, he does have a small space for his desk. My two dogs also have access during the day so you can imagine how hectic it can get with them running around, playing and barking most of the time. It makes me nuts! 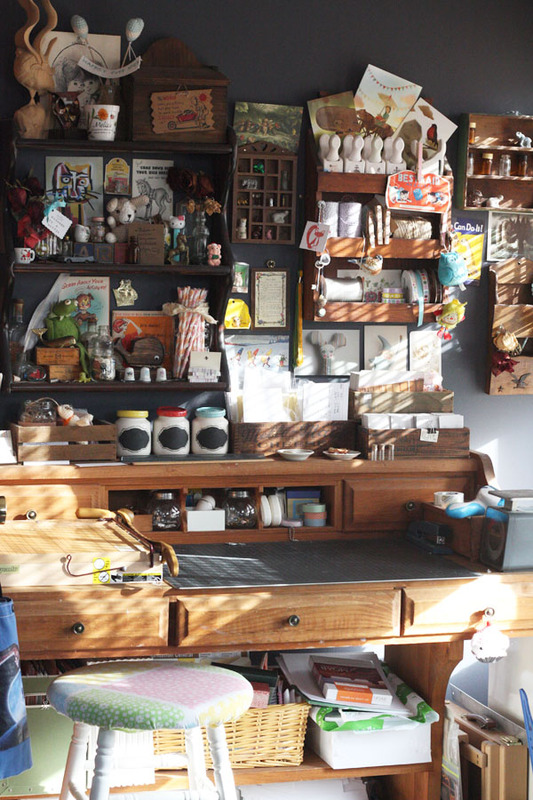 But I make sure the space itself is organized and designed to help me get stuff done. This is what truly makes a difference. 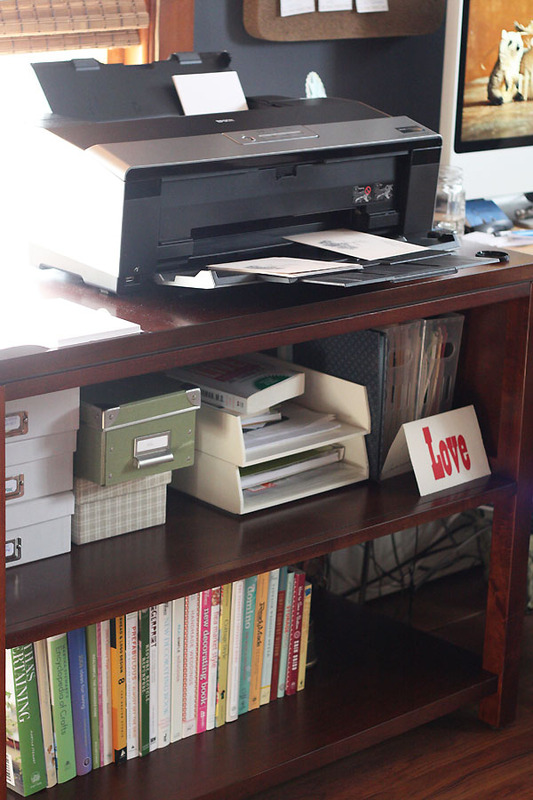 I created 3 essential zones; my computer desk area where all paperwork and graphics are done, my printing station where I keep all orders as well as files and my craft area where I cut all paper and keep most supplies. The closet holds all inventory, magazines and other storage we have. 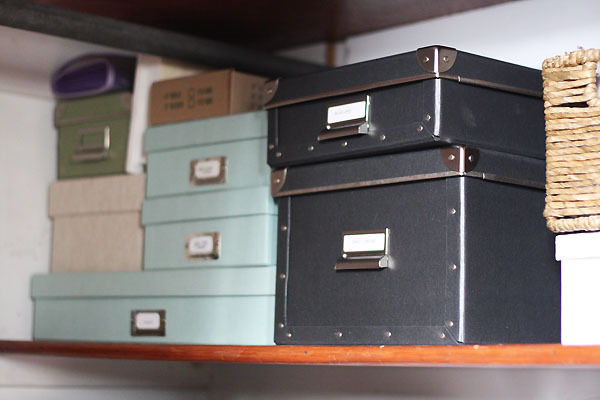 Everything is organized into labeled boxes and kept in groups that make sense. I also developed a system that would make fulfilling orders easy so I can keep track of my progress. I have a board above my desk that lists all current orders with lists of what to do. After each task is done, I check them off the list until the order is finalized. I also have a weekly to do list I update which enables me to see my projects in advance. As far as design, both my husband and I wanted the office to feel a bit more masculine and by incorporating a darker color palette in the space I think we accomplished that nicely. I wanted it to have a more study feel as apposed to a business feel. 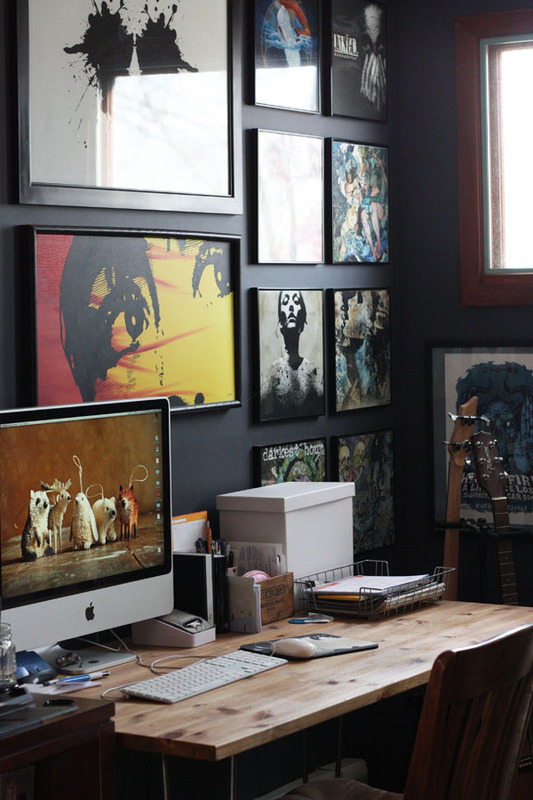 So with the navy hue on the walls and darker toned wood pieces, its warm and cozy. 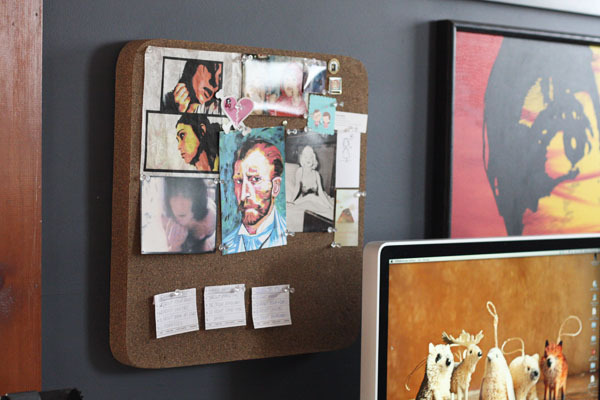 We also surrounded ourselves with artwork we love, books and lots of vintage finds that make us happy. I have to say my office is one of my favorite places to be. 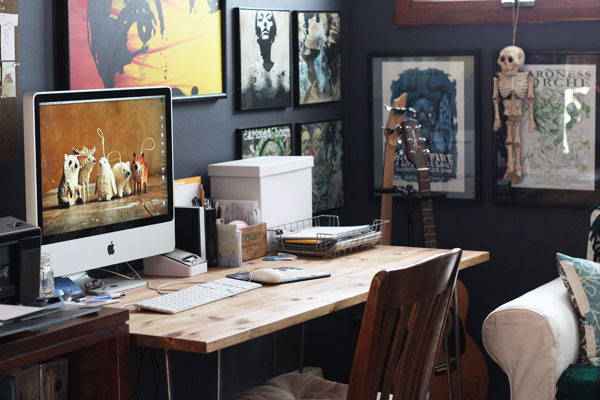 Here are some other really great examples of office spaces that are beautiful and organized. They are sure to inspire you to create a room you love too.